It is always helpful to notice references in writings, especially papal writings, and then be willing to explore those writings referenced. With a little digging you can be brought to some insightful, advantageous and even saving information. Since I wrote my post on the preacher as servant of dialogue I have done some digging into the writings of Bl. Pope Paul VI. Pope Francis references Paul VI quite extensively in Evangelii Gaudium. Specifically referenced is Paul VI’s 1975 Apostolic Exhortation Evangelii Nuntiandi where the pontiff reflects on the Church’s responsibility of evangelization in the modern world. What I have found of interest though (and the purpose for this post) is an earlier writing of Pope Paul VI – his first encyclical, Ecclesiam Suam (ES) and its section on the work of dialogue. Paul VI then goes on to stress that this form of encounter is demanded due to dynamics prevalent within modern society – the understanding of the relationship between the sacred and profane, the pluralism of society and the maturity of thought men and women have attained in our modern world. I think it safe to say that gone are the days (at least here in the U.S.) when the priest is the most educated person in the room. But there is a deeper impetus for the discipline of dialogue and that is the respect it demonstrates. The willingness to dialogue by its very nature witnesses to a person’s esteem for the other as well as one’s own understanding and kindness. These are attitudes that every disciple of Christ, especially those called to the task of preaching, should cultivate and exemplify in life. If we want dialogue then we, ourselves, must be willing to dialogue authentically and, not only that, the discipline of dialogue builds on dialogue. The preacher, as servant to dialogue, must be willing and, in fact, is duty-bound to work at fostering this discipline in our world today. Our world needs the discipline of dialogue. 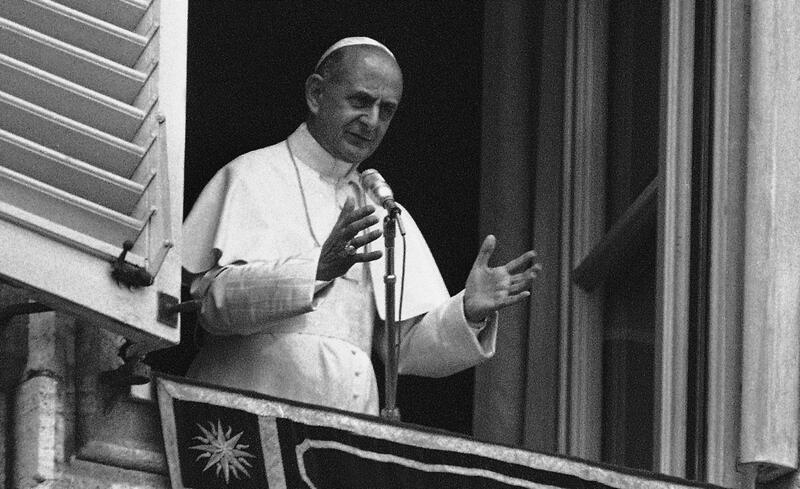 Paul VI then goes on to list out the proper characteristics of dialogue and, if proper for dialogue, then proper for preaching as the preaching task flows by nature out of the greater work of the Church’s dialogue with our world. Clarity before all else; the dialogue demands that what is said should be intelligible. (ES, 81) The caliber of an artist is found not in a work of art standing alone and isolated as if in a vacuum but in the ability of a work of art to engage people where they are at in their lives, to move them and to call forth a response, a dialogue. If there is no engagement, it is fair to question if it is true art. Striving for clarity in dialogue and striving for clarity in preaching matters. Let there be no mistake, this takes work and practice but this ability to translate the realities of faith and gospel into the language of where people are at is extremely important and it marks authentic preaching. 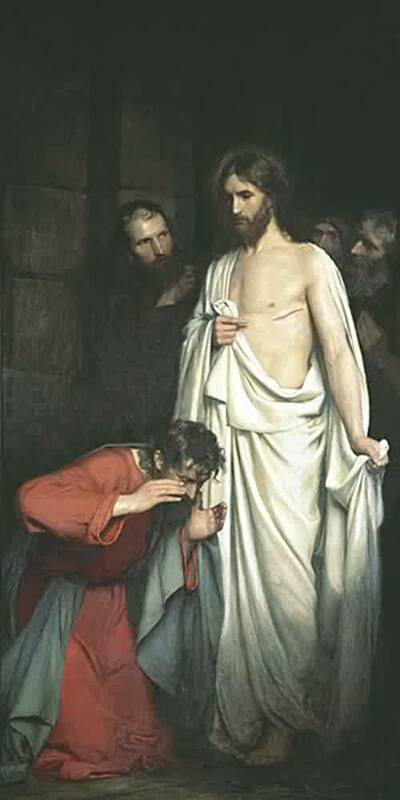 Our dialogue must be accompanied by that meekness which Christ bade us learn from Himself: “Learn of me, for I am meek and humble of heart.” (ES, 81) Our dialogue and our preaching must not be marked by arrogance or bitterness. We must learn the meekness of Christ himself because in this lies the power of the gospel. This “meekness of Christ” sets the words of the Church apart from all the other words that continuously wash over people in their everyday lives. We should not underestimate this characteristic of meekness in the lives of people who are daily inundated and even assaulted by words wrapped in bias, anger, coercion and manipulation. Our dialogue must have a confidence not just in the power of our own words (which could easily lead to arrogance) but also in the good will of both parties to the dialogue. (ES 81) We must continually seek the good in the other and this must mark the words that we use and the dialogue we engage in. To be a good preacher one must be convinced that people are yearning for the Word of God … and they are. It might not be fully expressed, the desire might even be distorted, hidden or stunted but it is there and the preacher must learn to both listen for that desire and speak to that truth within the heart of people. This is not an easy discipline to acquire in a world that continually seeks to isolate and separate people but it is essential and is truly a counter-cultural witness. In a dialogue conducted with this kind of foresight, truth is wedded to charity and understanding to love. In the dynamic of manipulation, I try to force you to change, consciously or unconsciously. Authentic dialogue stands opposed to manipulation in all its forms. Authentic dialogue summons both parties to an honest investigation of the subject at hand as well as a fearless rooting out of the tendencies of manipulation that each one of us carry within ourselves. Finally, the discipline of dialogue and preaching must begin in the witness of the preacher’s own life if it is to be authentic and salvific in the lives of other people. Since the world cannot be saved from the outside, we must first of all identify ourselves with those whom we would bring the Christian message – like the Word of God who Himself became a man. Next we must forego all privilege and the use of unintelligible language, and adopt the life of ordinary people in all that is human and honorable. Indeed, we must adopt the way of life of the most humble people, if we wish to be listened to and understood. Then, before speaking, we must take great care to listen not only to what men say, but more especially to what they have in their hearts to say. Only then will we understand them and respect them, and even, as far as possible, agree with them. Dialogue and preaching, if it is to be authentic, must become incarnate which means that the preacher’s life must also become incarnate within the life of his community just as the Word of God became incarnate. We are told at different times in the gospel story that Jesus was aware of the thoughts of other people before they ever even expressed them. This was no form of magical clairvoyance on the part of our Lord but the ability to listen to hearts. The Church has been given this ability, the preacher must cultivate this ability. “Heart speaks to heart” noted Bl. John Henry Cardinal Newman. The preacher must learn how to listen to both the heart of God speaking to the heart of his people as well as to the reply and yearning of God’s people. To end, I would like to share one further quote from Ecclesiam Suam. The preaching task is rooted in the greater task of the Church’s dialogue with the world. As a servant to dialogue, the preacher shares intimately in this task. Hopefully, we can learn from the insight and wisdom of Bl. Pope Paul VI. That class (and I would say specifically that statement “something happened”) was one of the key components that led to my returning to the Church and the active practice of the faith. What was it that enabled Peter (the one who had denied knowing Jesus) and those first disciples (the ones who had run away) the ability to move from fear to being bold and public proclaimers of Christ and the resurrection? Was it a hoax they cooked up in their minds to steal the body away and see how long they could ride the “Jesus as Messiah” train? Hoaxes do not last so long (two thousand plus years) nor show such continued vitality and chronic vigor. Was it that the “spirit” of Jesus had risen – his vision of the world and living together in harmony – while his body remained dead in the tomb? But who willingly chooses martyrdom for an idea or the “spirit” of someone’s thought (as we see throughout history beginning with those first fearful disciples)? Neither hoaxes nor ideas ask for a piece of fish to eat. There are many ways to run from the scandal of the resurrection. All sorts of people throughout history have proven to be quite adept at it. One such way (often touted as being an “enlightened” approach) is to see the resurrection as a nice idea – Jesus’ spirit continuing to live on. But today’s gospel is quite clear. Jesus is not a ghost, not a vague idea. 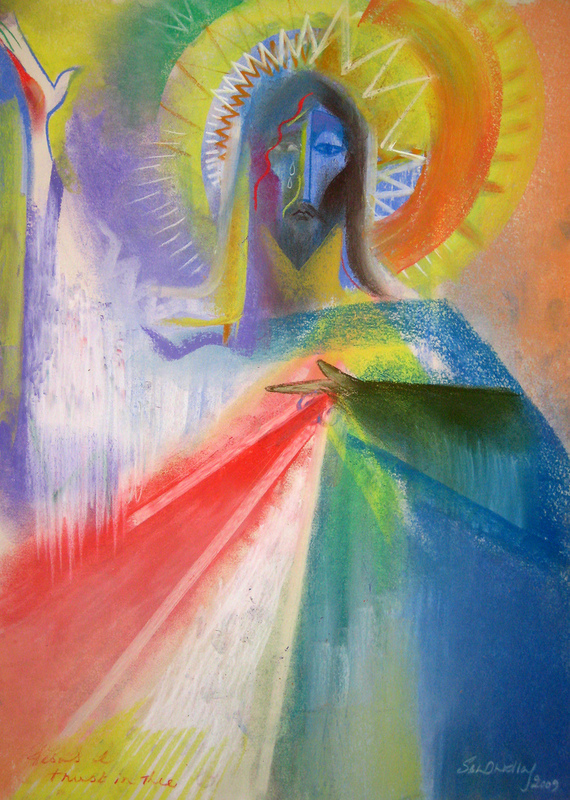 Jesus is risen – body and soul! He is the firstborn from the dead. Jesus is risen and he has not risen in vain. If we are to be Christian then we must be willing to encounter the fullness of the resurrection. We must be willing to encounter that “something that happened” as my professor said so many years ago and in that encounter we must be willing to make a fundamental faith statement, “I believe”. Only this will move us from fear to peace. 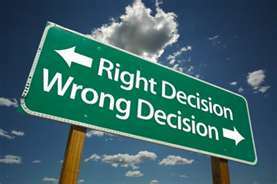 There is a saying that contends that you must have “skin in the game” in order to be truly committed to something. When the Word became incarnate, when Christ suffered his passion and crucifixion, when the resurrected Christ shows his wounds which he still bears in glory, then God shows that he has “skin in the game” for our salvation. If we want to know the peace and life of the gospel then we also must be willing to have “skin in the game”. By our lives, our words, our choices and our actions we must profess, “I believe”. Nothing less will do. This encounter and the peace and courage it alone brings, continues today. We can look at the successors to Peter himself as witnesses of this to our world. These men do not have any military or economic might yet they continually stand before the powers of our world with nothing other than the word of the gospel. Think of St. John Paul II confronting communism. I remember when Pope Emeritus Benedict travelled to Mexico and Cuba during his pontificate. In the face of the chaotic violence of the drug trade engulfing Mexico the eighty-five year old pontiff proclaimed firmly and resolutely that drug trafficking is a sin and it is wrong. Then going on to Cuba at a Mass where the very Cuban government sat in the front rows, again this elderly soft-spoken man called for greater freedom. Think of Pope Francis calling the Mafia out and all worldly powers that would de-humanize the person made in God’s image. What enables these men to do this? These men have encountered Christ risen and alive – not an idea of Christ, not just the spirit of Christ – but Jesus Christ himself and, from that encounter, each one has made his faith statement and has moved from fear to a bold peace. This peace is there for us also if we also are willing to encounter Christ risen and if we are willing to profess him as Lord! Easter Sunday – Mary, Peter and John ran! Children like to run. Have you ever noticed this? Watch children at play – pure energy! In children we see the body just needing to move – not weighed down, not encumbered by age or past hurts – pure life and pure joy! Children run and in this running we find a witness to life and to joy! The gospel (Jn. 20:1-9) today tells us that Mary of Magdala ran to the disciples once she saw that the stone had been removed from the tomb’s entrance. The gospel then goes on to tell us that Peter and John ran to the tomb to investigate. When you ask children at play, “Why do you run?” they probably will not be able to give an answer. Maybe at best they will say, “Because we can!” or “We just want to!” The running is just a witness to live within them. Why did Mary run? 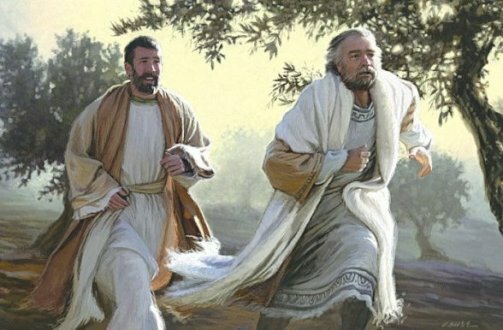 Why did Peter and John run? Was it a conscious decision on their part or rather, like children, did the energy of a new life impel them? I think it was the latter. 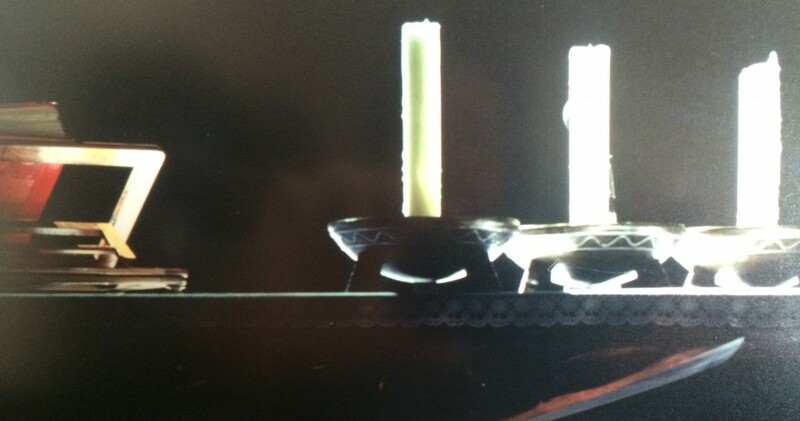 An unimaginable energy, an unheard of joy – the tomb was empty! Death has been conquered! They ran simply because they had to! For too long history has wept before the tombs of our world. How countless the number of men and women who have died by violence, hatred, war, famine, isolation and abandonment! Even today it continues. Before the tombs of our world our hearts are left heavy and we feel abandoned. Before the tomb there is no joy, no desire to run because there seems to be no future – no hope. Hope impelled Mary and the two disciples to run. They ran because hope was born again in their hearts! Not a hope born of this world that ends with the tomb but a hope born of heaven that empties the tomb from within! 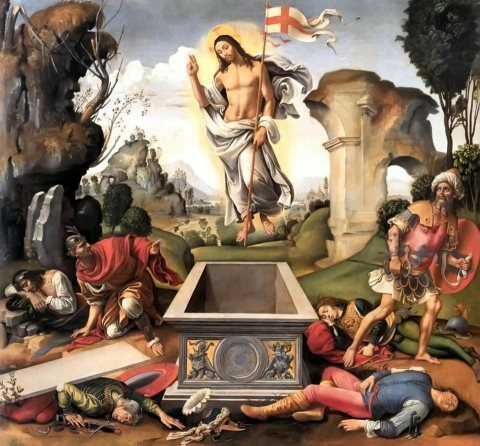 In the resurrection of Christ the tomb is emptied from within! Christ has entered even death itself – abandonment from God – and Christ has overcome death from within. Death, sin and evil are swallowed up! The tomb is emptied from within. Death is robbed of its power! The tombs of our world remain. Sadly, too many people still weep before the tombs of violence, war, abandonment and isolation but the finality of the tomb has been broken. Its power vanquished! Where is the glory of the resurrection? It is in the gospel that says there is a different way to live other than the logic of the tomb – a way that says “no” to violence, “no” to abandonment and to war, hatred and isolation. The glory of the resurrection is found in the heart of the Christian who says “yes” to this different way of living – “yes” to friendship, “yes” to forgiveness and reconciliation, “yes” to peace and “yes” to the belief that death is not the final word! And when we live this different way? We run, we run so fast! We run with Mary and Peter and John! We run a new way with a new hope born of heaven! Life itself impels us to run!